London Anti-Fascists and South London Anti-Fascists have organised coaches to go from London to Birmingham next Saturday 11th. All anti-fascists are welcome to come to oppose the EDL national demo. They write: “The EDL still represent a dangerous pole of attraction for many white working class people and its up to all us to dislodge their poisonous message of disunity, suspicion and racialisation that manifests itself weekly on many of our towns and cities. 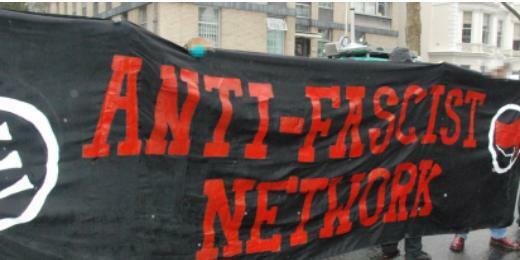 Coaches from London are open to ALL anti-fascists, anti-racist campaigners and trade unionists. To reserve your place on the coach please email: ldnantifascists@riseup.net with the subject line “COACH2BRUM” with the number of tickets you want. Tickets are £5/£10.